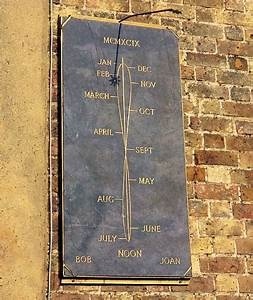 An analemma is a visual representation of the equation of time. It is a term from astronomy that describes the figure created by the position of the sun at the same time every day during the earth's yearly rotation. This work is about the same musical ideas seen from different angles or in differing situations. Just as the sun's analemma results from slightly different positions in the sky, this work presents 3 musical ideas in differing lengths, situations or combinations. This commission was to take place on a concert of works by Canadian and Lithuanian composers that dealt with the changing seasons from summer to fall. When ERGO approached me they didn't realized that I was not only Canadian but my family was also of Lithuanian descent. I have always found sutartine (the Lithuanian folk bi-modal singing style) fascinating and intense. I have incorporated an invented bi-modal motive (based on the opening motive at the beginning of the work) which eventually transforms into the Lithuanian lullaby that I heard nightly as a child. The analemma created by our sun is a lopsided figure 8 or infinity symbol. Its nature is that of slight change over time, ultimately returning to trace the same pattern again. Such is the nature of life, we are born, we live, we die, but what an exciting path that is! I was very lucky to have studied with the Canadian composer Harry Freedman for my final undergraduate year at the University of Toronto. He was truly one of the most wonderful and inspiring men! I would like to dedicate this work to him. May his inspirational light in the sky continue to create its own perpetual analemma for us all. Commissioned by the Canada Council for the Arts for Ergo Projects.